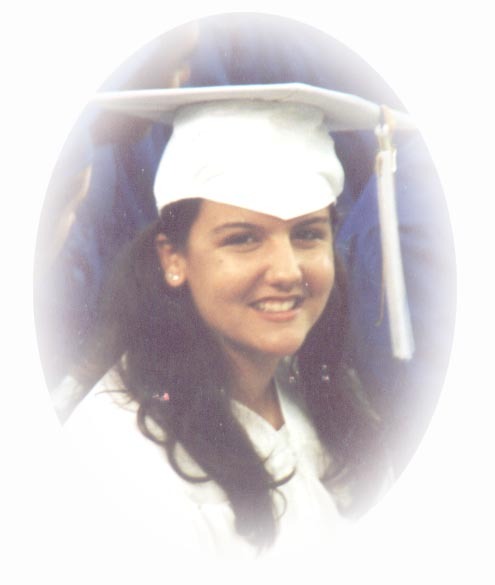 That’s me in June 2001 at my high school graduation. I miss that lack of an almost double chin that I have now. Otherwise, it feels about a million years ago, not 12. I went to my 10 year high school reunion last in 2011 and it was such a weird experience. Mostly because I was newly separated and it was an awkward thing of “oh is your husband here?” which them followed with my telling people I was separated and the person I was talking with giving me that face people make when they are embarrassed/surprised/have no idea what to say/do next. It was also strange because the Book of Face and the interwebs have sort of eliminated the need for reunions and so the night just felt a little forced. In high school, I wasn’t the super student like I was in college. I did well in my advanced and honors classes and graduated something like 31 out of 200 or so people. I was involved in the music program, singing in all the choirs, head of the rifle/color guard squad in marching band, and a member of the debate team. High school was filled with a lot of fun times with friends. I didn’t drink and other than trying weed once, I never did drugs ( didn’t in college either and clearly no plans to at the age of 30.) My weekend nights were spent with my friends, often in our parents’ kitchens cooking ‘dinner parties’- we would all make something together and then play games or watch movies after. It was a lot of fun thinking back on it. There was always someone to go to the movies with or a random shopping trip for something silly we had to have like a denim skirt. I had an active social life, but all my friends and I were similar in being studious and involved at school. I didn’t have a cell phone until i was a junior in high school and even then, it was to be on only before and after school and basically served the purpose of me calling my parents to let them know I’d gotten somewhere safely or to ask their permission to stay out a bit later than I told them. I had a curfew of either 10 or 11 and my dad would stay up watching TV until I came home. We had dial up internet for a thousand years ( seriously, when I moved back from college in 2005, it was the first thing I made them do) and the computer was most often on a desk in my parents room so I didn’t use AOL Instant Messenger anywhere near as much as my friends. I didn’t date much in high school and actually never had a ‘boyfriend’ until my senior year. I went on dates every now and again, but for the most part, I was super busy with school stuff and for the most part, had spent a good deal of life with the same people in school, so the interest wasn’t quite there. I worked at Blockbuster my junior and senior years before heading off to college. For so many people, high school is one of those things when you look back you’re just terribly embarrassed or humiliated by- I certainly can remember a few of those moments (mostly the clothes mistakes! ), but for me, high school was fun- not in the way that I look back at it as my glory days, but more in that I had a great time with great people. Even though I don’t talk to or see those friends anywhere near as much as I’d like to these days, I still think of them and our fun times often and that to me makes it all even better. It’s so refreshing to hear that someone else enjoyed highschool! Most people I know hated it, but I also have fond memories of the time.